Batik is an age-old art and craft, and in recent years had been getting popular in the West as a great medium for creative work, particularly in textile art. Batik uses dye and wax to transfer design to cloth. It is part of an ancient tradition in Java, Indonesia where some of the best and finest batik cloths are still being produced. Batik designs are transferred to cloth by selecting areas of the cloth that were blocked out either by drawing or brushing hot wax over an area. Later the cloth will be dyed. Dye will not be able to penetrate into the areas were the wax was applied, thus the original color of the cloth will be retained. The process of applying wax and dyeing the cloth could be repeated several times depending on the design. The wax is removed later. 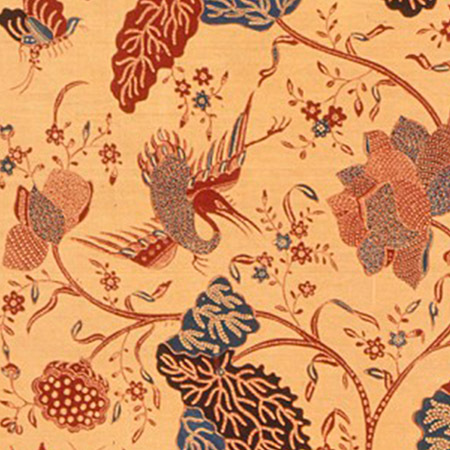 While still following the age-old techniques of waxing and dyeing, artists today could use several methods and tools to achieve more elaborate and colorful designs. Cloth used today range from wool, leather, cotton and silk. Some use base materials such as ceramics, wood and paper. The recipes for the wax are varied as well, and methods such as stencils, discharge dyeing and etching are now utilized. There were early examples of batik work that were found in India, Central Asia, the Middle East as well as the Far East that date back some 2,000 years, although it was believed that there were no cultural exchanges that had been made, thus they developed independently. However, it is still thought that the craft spread through the caravan route from Asia to the Middle East. It was practiced in China during the Sui Dynasty and there were also batiks made of silk that belonged to the Nara Period of Japan. While there were no physical evidence that were found in India, some of the frescos found in the caves in Ajunta showed garments and head wraps that resembled batik. Patterns of white on blue linen and wool fabrics were some of the oldest found in Egypt, dating back to 5 AD. The Yoruba tribe of Senegal and Southern Nigeria also had their own dye resist methods using rice and cassava paste. The greatest height of accomplishment for resist dyeing and batik was in Java, Indonesia. It was introduced to Europe in the 17th century by the Dutch that colonized Indonesia. The craft reached Holland around mid-19th century when they brought Indonesian craftsmen to teach the craft in many factories in Holland, and they started producing imitation batik cloths by the early part of the 1940s. The Germans also started mass production of batiks in the early part of the 1900s. 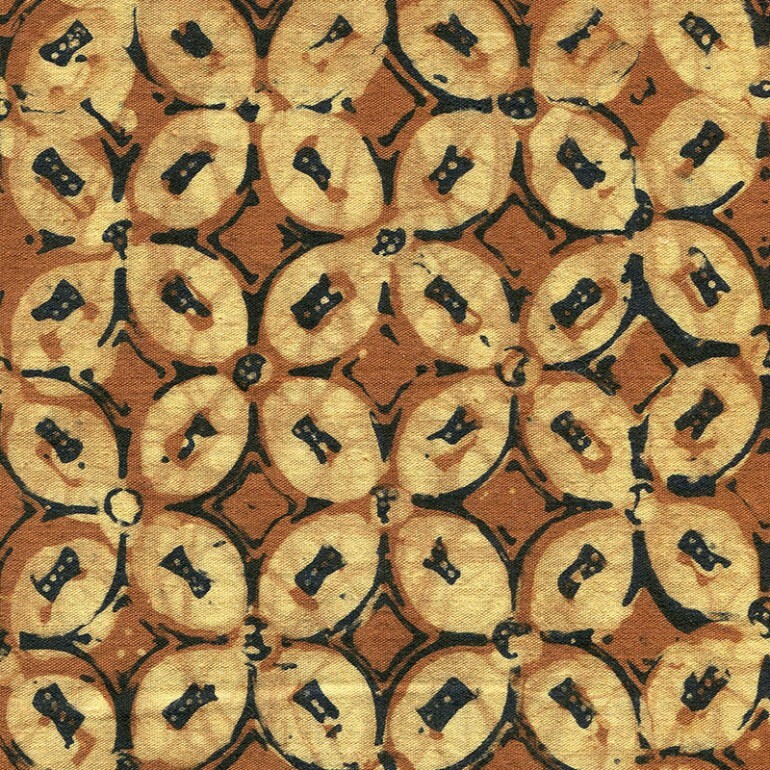 In recent years, the techniques of batik production had been computerized. Java in Indonesia is where the art of batik was developed into the highest standards known by craftsmen. The island have all the natural materials available such as beeswax and cotton. There are also many plants in Java that are good sources of fabric dyes. While the exact time that batik production was started in Java could not be ascertained, it is known that the Sultan and his court had full support of the craft, particularly in Solo and Yogyakarta in Central Java. There were cloths that could be used only by particular people or only on particular occasions during that time. There were designs that were for the exclusive use of the royal family. Along the coast of Java, the designs were influence by traders from Arabia and India, by Dutch colonists and by Chinese settlers. There were two methods used in the application of wax. The women apply wax by drawing the design using a canting, which is a small copper cup with as a small spout. It is attached to a wooden or bamboo handle. The canting is dipped into melted hot wax and allowed to flow from the spout onto the fabric. If the cloth is thicker, the waxing process is done on both sides of the fabric. The men on the other hand lays out the cloth on long tables and use a copper stamping tool called a cap that is dipped in hot wax and applied with pressure onto the fabric. The process is repeated several times, and when necessary, could also be applied to the reverse side of the cloth. The process could be likened to the woodblocks used in the early prints that originated from Japan, particularly ukiyo-e. Traditional dye colors were soga browns and indigo blues. Later chemical dyes were introduced, which produced more varied and brilliant colors. Wax on the fabric is removed through boiling.